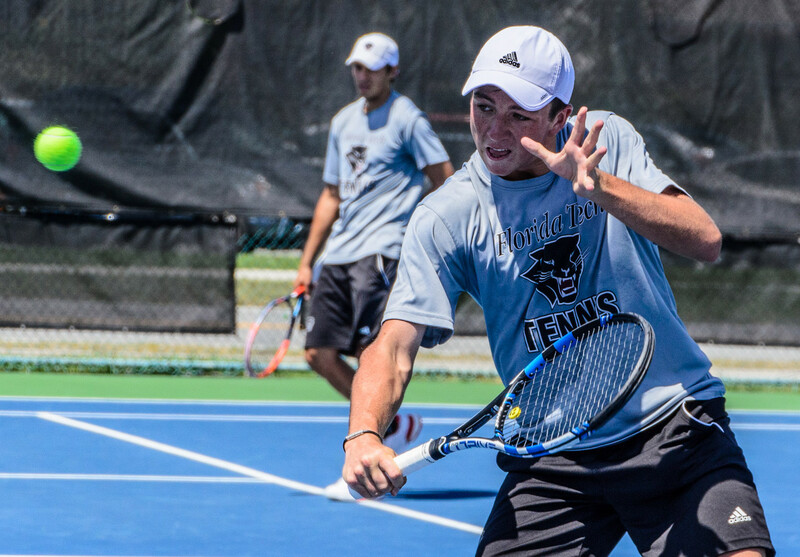 James Finnigan and his Florida Tech Men's Tennis teammates picked up a close 5 - 4 win in its first action of the spring. Florida Tech battled with Ave Maria from start to finish as the game came down to a 7-6 third set win in the final match of the afternoon. Finnigan and Alexander Webb combined for the first win of the match as they took down AMU's second pair, 8-2. Finnigan would win his Singles match at the number 2 spot 6-4, 6-3 against Nicholas Hofmeister.